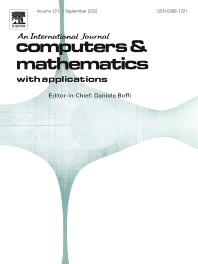 Computers & Mathematics with Applications provides a medium of exchange for those engaged in fields contributing to building successful simulations for science and engineering using Partial Differential Equations (PDEs). Analysis of mathematical models, formulated in terms of PDEs. Discretization Methods and Numerical Analysis for PDEs. Numerical linear and nonlinear algebra. Fast numerical algorithms. Algorithms and Data Structures. Adaptivity. Computational Geometry. Software Design, Code verification and Quality Assurance (QA).